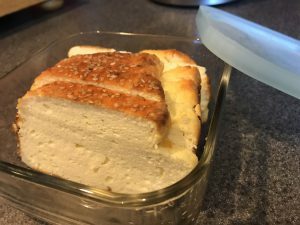 The “soul bread” recipe is considered the “holy grail” of low carb bread recipes. 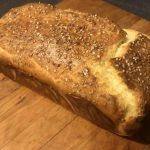 The ingredients of soul bread remain essentially the same throughout recipe websites, although there are some renditions of this bread, as well as a few minor alterations, on a few creative recipe versions. This particular recipe itself has a slight alteration in the egg measurements and the use of both psyllium husk and xanthun gum for thickening. It also uses baking powder instead of baking soda. No matter how this recipe is slightly altered, the main reason so many people love it is because it is flourless and doesn’t taste like “eggie”. 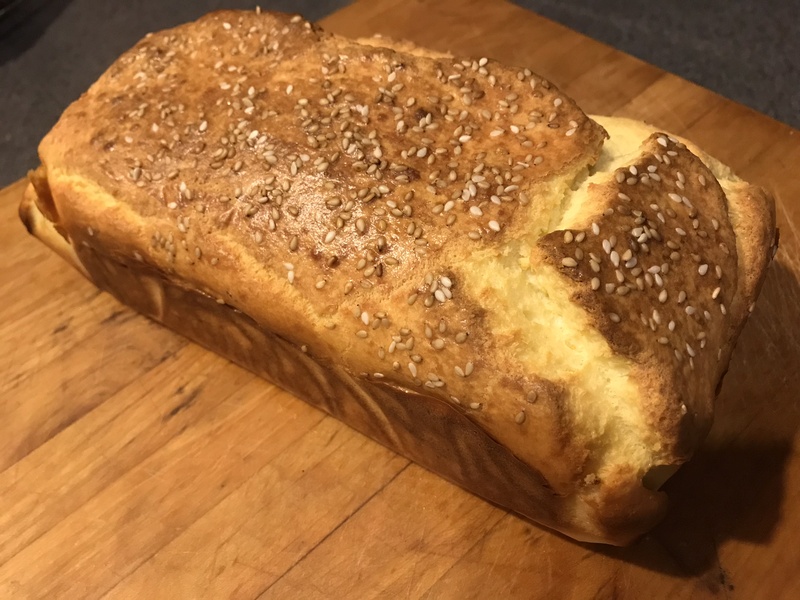 Some trivia about Soul Bread: It was developed by Souls Song and the members of the Atkins and LCHF (Low Carb High Fat) to create a low carb bread. Place softened cream cheese and salt in a bowl and mix together. Stir in butter and olive oil. Then add heavy cream, eggs and egg whites using electric hand mixer until well blended. 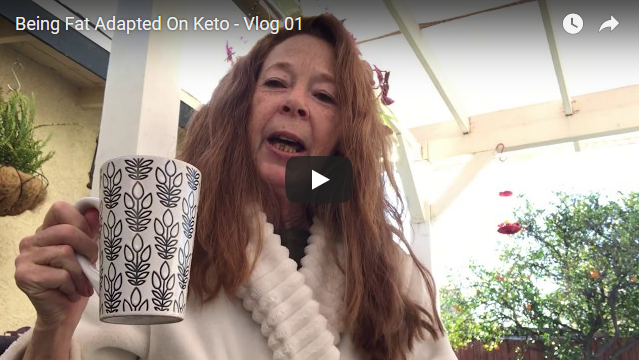 Place all the dry ingredients (whey protein powder, cream of tartar, PH, XG, baking powder, salt) in a sifter and sift into the batter (stir as partial amounts of dry ingredients are sifted into the batter). Pour batter into a loaf pan (lined with parchment paper or greased). Bake in preheated oven at 325 for 50 min. Cool on cooling rack and serve! You can store some slices in an airtight container for up to 3 days or freeze slices for up to 3 months.